Usha has done her Bachelor’s in Mathematics and a Master’s in IT. 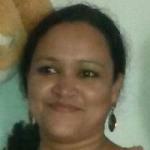 She has been working in designing field for both print and web media since 2003. At present she is working with CCS as web designer.